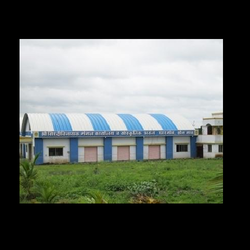 Pioneers in the industry, we offer roof truss from India. We are well-known suppliers of quality Roof Trusses, which are in wide demand. These are high on dimensional accuracy and strength. These products are highly acclaimed for durability; these find application in tile frames, roof gardens, angular and tubular sections, front canopies, and pyramid huts. Our clients can avail these at market leading prices. Looking for Roof Truss ?